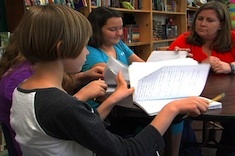 Katherine Sokolowski meets briefly with a group of fifth-grade girls to go through the notes they are taking for their environmental studies project and talk through next steps. 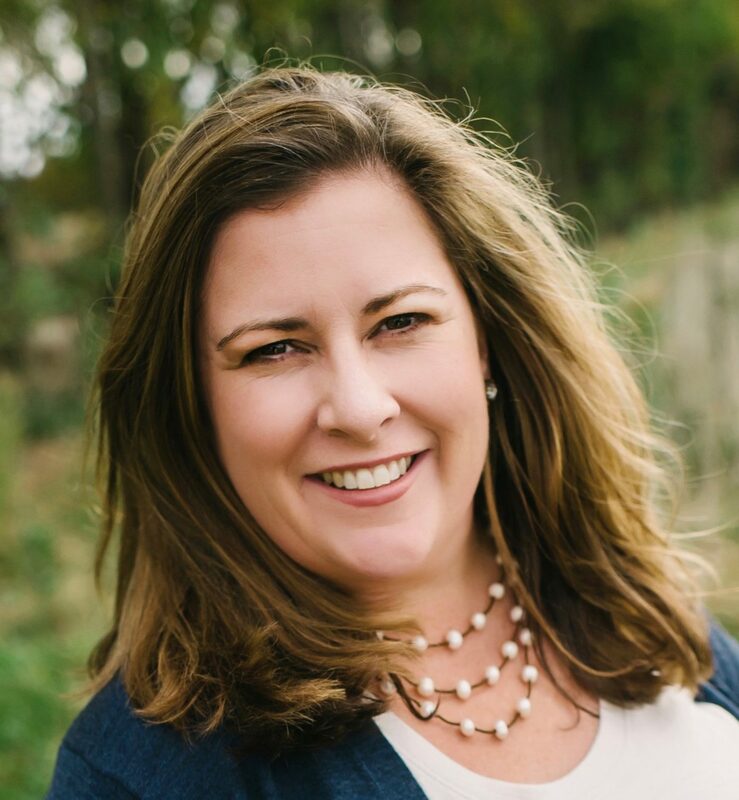 Katherine Sokolowski has taught for over 20 years in elementary schools, and currently teaches seventh grade in the same small town in central Illinois where she grew up. Her work has been featured at the Nerdy Book Club and on NPR, and she often presents for Scholastic. She regularly writes about teaching on her blog Read Write Reflect. Ten days from the launch of student research projects to a celebration with families? Katherine Sokolowski shares how a tight time frame that concludes with an evening event can bring energy and high student interest to the research process. 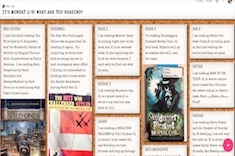 Katherine Sokolowski finds that electronic charting of learning with Padlet has almost endless possibilities for use in her fifth-grade classroom. 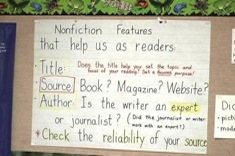 What Anchor Charts Are Essential? 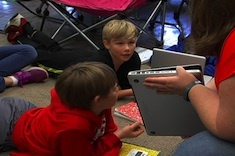 Katherine Sokolowski considers what anchor charts are essential in her fifth-grade classroom, and where they work best for posting. 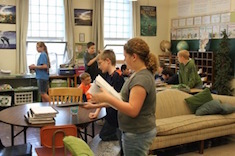 Katherine Sokolowski leads a small group of fifth graders who have chosen similar topics for their projects in an environmental unit. Katherine Sokolowski meets with a group of fifth graders who are all researching the use of nets in fishing and the environmental effects of the process. 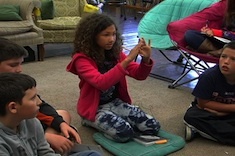 She works to build connections among classmates as well as research skills. 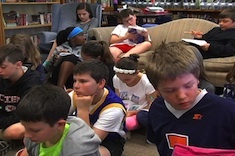 Katherine Sokolowski refreshes the quick-write routine in her fifth-grade classroom by using a video as a prompt.